A humorous birthday card with a beautiful woman in a bathing suit. Captions provided say "29 again? Your secret is safe with me. 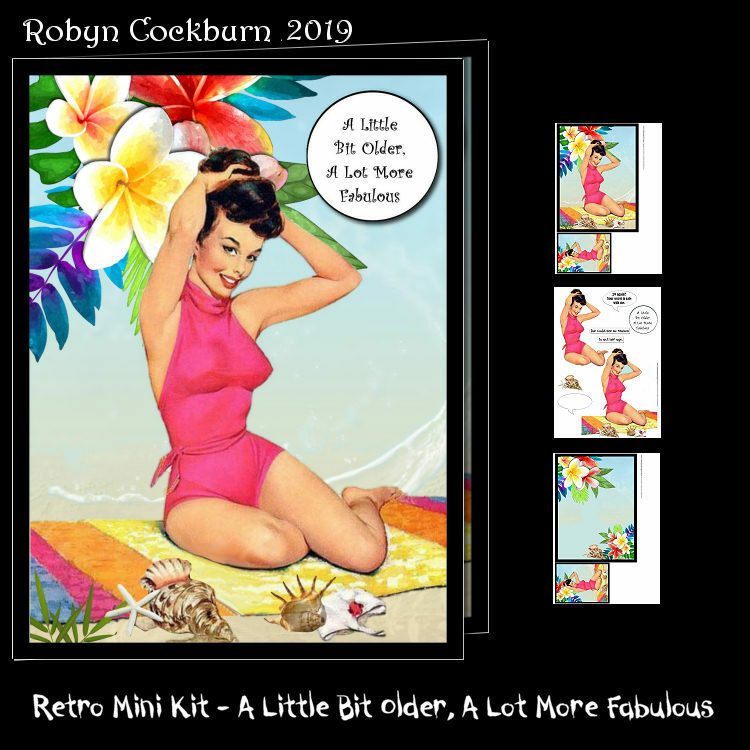 ", "She could see no reason to act her age", "A Little Bit Older, A Lot More Fabulous" and a blank is provided for your own caption. The kit contains card front, insert, labels, gift tag and decoupage layers. Card is 6" x 8" when finished.